The Original & the Best for 25 Years! 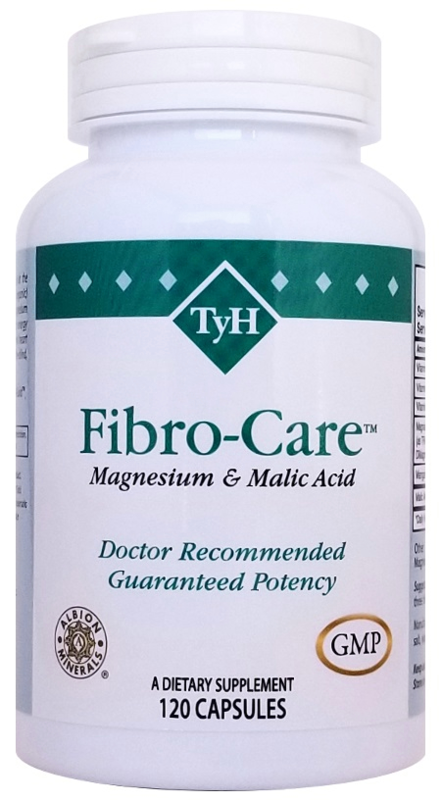 Fibro-Care™ is To Your Health's signature formulation, designed with the help of a biochemist and based on the magnesium deficiency found in fibromyalgia (FM) and SEID (ME/chronic fatigue syndrome). Thomas Romano, M.D., is one of the rheumatologists who helped write the original diagnostic criteria for fibromyalgia in 1990. He believes that magnesium deficiency is a classic hallmark of FM and correcting this deficiency is a necessary part of any therapy. Dr Romano recommends an RBC magnesium test to determine an accurate magnesium level. TyH uses Albion organic magnesium bisglycinate (chelate) for the highest bioavailable form of this mineral and includes magnesium co-factors necessary for utilization by the body. It's also awarded Albion's Gold Medallion status. 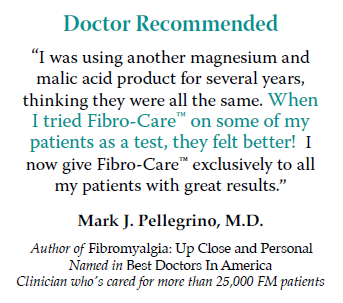 Fibro-Care™ is the original product used in a successful, double-blind, placebo controlled study for the successful treatment of FM and SEID. Gentle on the GI tract. Albion organic minerals release slowly so no GI distress that is common to other non-organic mineral forms (such as oxide). More absorbable so you get the full benefits of this required mineral. Fibro-Care™. Try the Original and the Best!